4 Beds 3 Baths 2,535 Sq. ft.
Over 20K of updates: New tile in entry and traffic areas, newer carpet in living and bedrooms, newer appliances, corian countertops, recently painted throughout, and much more! AC unit replaced June 2009. 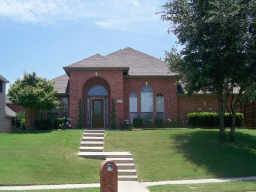 Landscaped, Large fenced yard, Trees, Sprinkler system.